The tools consist of an e-Learning course, a self-directed course and a trainers' manual aimed at providing judiciaries with a solid understanding of the Bangalore Principles and the requirements of article 11 of the United Nations Convention against Corruption. Corruption in the justice system - whether actual or perceived - poses a real threat to confidence in the rule of law. With this in mind, boosting judicial integrity is an integral part of the Doha Declaration Global Programme. The Judicial Integrity initiative aims to assist judiciaries across the globe in strengthening judicial integrity and preventing corruption in the justice sector, in line with article 11 of the United Nations Convention against Corruption. For that purpose, the initiative has facilitated the creation of the Global Judicial Integrity Network. UNODC has been providing assistance to Member States in strengthening judicial integrity, accountability and professionalism since 2000, by supporting the development of the Bangalore Principles of Judicial Conduct and producing various tools to help judiciaries to that effect. Last week, the head of UNODC's Global Programme for the Implementation of the Doha Declaration, Marco Teixeira, was interviewed by MTV (one of the most prominent regional channels in Lebanon and the Arab world), on its renowned MTV Alive show. He spoke about the Global Programme's mission to promote a culture of lawfulness, through the various activities and resources of its four components. Below are some excerpts from the interview (edited for clarity). 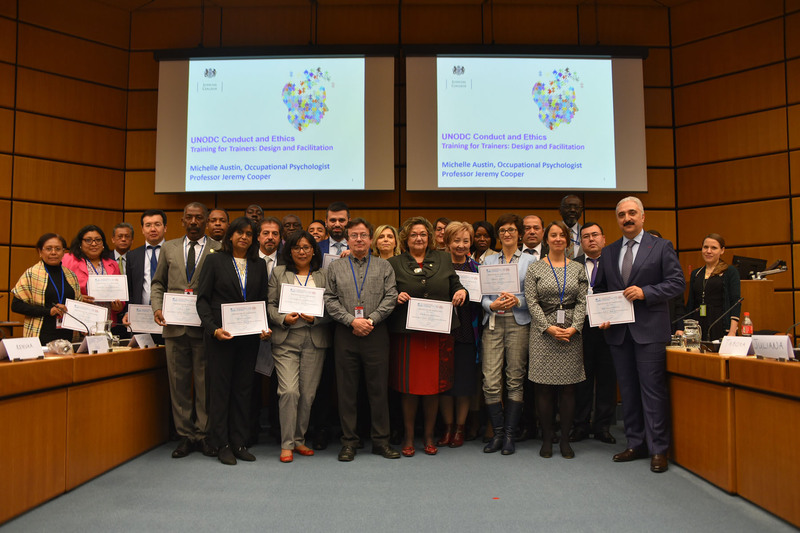 Under the Doha Declaration Global Programme, the Global Judicial Integrity Network has recently released a set of new judicial conduct and ethics training tools. The European Network of Councils for the Judiciary (ENCJ) believes that councils and judiciaries should assume a new role to achieve a better balance of power and to strengthen the position of the judiciary, which necessitates expressing and explaining the role of an independent and accountable judiciary, within a state governed by the rule of law. In addition, councils for the judiciary should be instrumental in helping educate society about what judges do, and it is therefore essential for the councils and the judiciaries to develop their communication with the general public.